This is a high-quality vinyl roll for making glass sandblasting stencil. 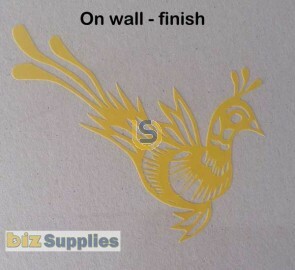 Use a standard vinyl cutter to cut your stencil out and apply on the glass for sandblasting. It features a high-quality backing paper for easy weeding small designs and removable glue for easy removing from glass without leaving glue on. It has been tested by local glass sandblasting companies so quality is proven!